As for the rice, I think I've mentioned numerous times how we are a rice loving family. We can't get enough! 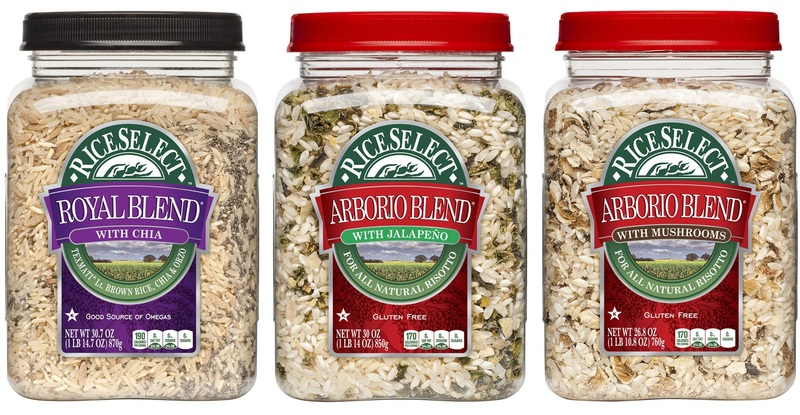 When my friends at Rice Select contacted me, I was thrilled to learn about what they're up to and I'm excited they've added to their great product line with more rice! Royal Blend® with Chia is a delicious and nutritious combination of Texmati® Light Brown, Whole Wheat Orzo and the ancient super food Chia Seed. Packed with omegas, protein and fiber, Chia also provides 18% of the recommended daily intake for calcium. Just add chicken, fish or tofu for a complete heart-healthy meal! Arborio Blend™ with Mushrooms is earthy and mellow and makes for a nutritious comfort dish. Referred to as “nature’s little treasures”, mushrooms are naturally low in calories and sodium, both fat and cholesterol-free, and contain Vitamin D, Potassium and Riboflavin. Perfect for a gluten-free risotto! Arborio Blend™ with Jalapeño kicks risotto up a notch with just the right blend of creamy and spicy! The perfect addition to any healthy New Year initiative, jalapeños have been shown to prevent inflammation in the body while also regulating blood pressure and stimulating the metabolism. Great for a gluten-free side dish! Additionally, these new blends are proudly made from all-natural, non-GMO, US-grown seed! Combine reserved shrimp shells, 8 cups water, and next 6 ingredients (through onion) in a large Dutch oven, and bring to a boil. Reduce heat, and simmer for 1 hour. Strain mixture through a sieve into a bowl; discard solids. Set aside 3 cups stock; keep warm. Reserve the remaining shrimp stock for another use. 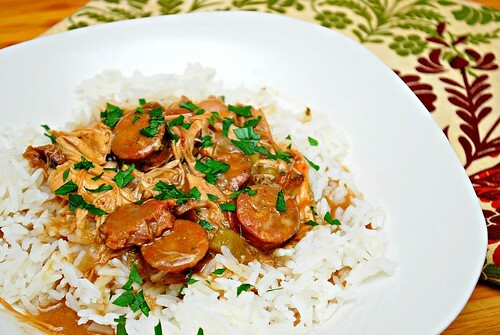 To prepare the gumbo, heat a large cast-iron skillet over low heat; add 1/4 cup canola oil. Cook for 2 minutes, swirling to coat pan. Weigh or lightly spoon flour into a dry measuring cup. Gradually add flour to oil, stirring constantly with a whisk until smooth. 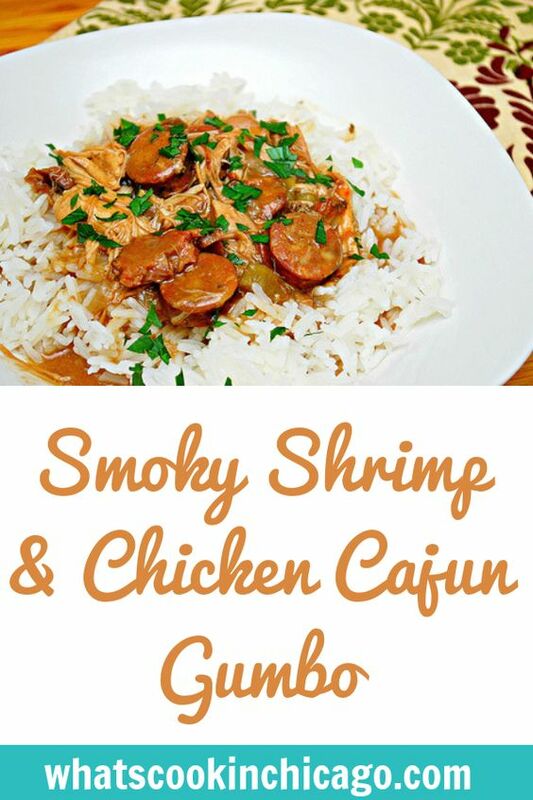 Increase heat to medium; cook for 8 minutes or until the flour mixture is caramel-colored, stirring frequently. Cook 2 minutes or until mixture is chestnut-colored, stirring constantly. Remove from heat; slowly add warm shrimp stock, stirring until smooth. Pour stock mixture into a large bowl. Heat 1 tablespoon oil in a large Dutch oven over medium heat. Add chicken; cook 7 minutes, turning to brown on all sides. Add sausage, onion and the next 5 ingredients (through bell pepper); sauté for 3 minutes. Return stock mixture to pan; add broth and bay leaves. Bring to a boil; reduce heat, and simmer for 45 minutes. Add okra and next 3 ingredients (through black pepper). Simmer for 30 minutes. Combine shrimp and paprika; toss to coat shrimp. Heat a large nonstick skillet over medium-high heat. Add remaining 1 tablespoon oil to pan; swirl to coat. Add shrimp; sauté for 2 minutes or until the shrimp are done. Stir shrimp into okra mixture. Discard bay leaves. Serve over rice. Love the stock you made for the gumbo and the smoky paprika. Would love to have your gumbo for dinner.